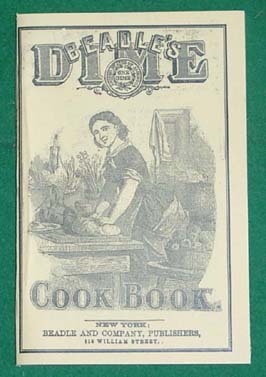 This is a surprisingly varied cookbook for its size. As probably no surprise, a lot of the recipes are for meat dishes and another sizeable portion of the recipes are for desserts. There are a few recipes for vegetables but the number is not huge compared to the other dishes. There is even a recipe for making tomato figs (a way to preserve tomatoes by sugaring them).